Join Us as Project Clean Stream Kicks Off on April 7th! 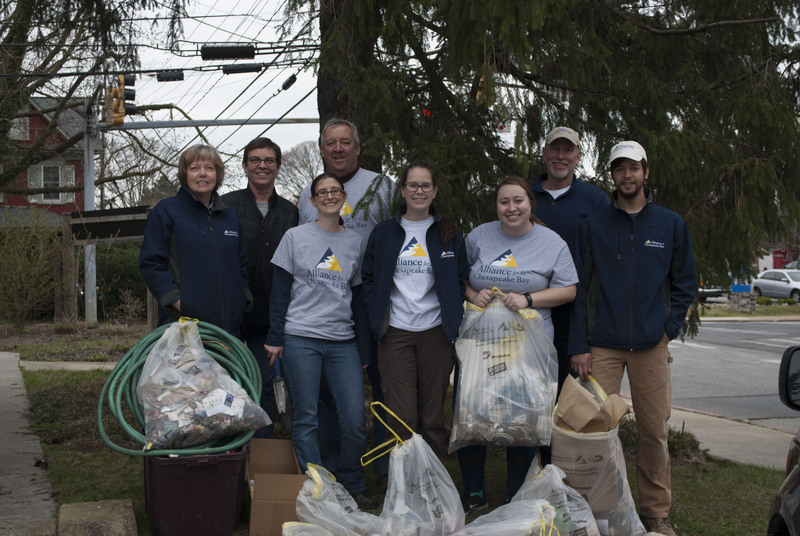 Join us at a local cleanup site near you to kickoff the 2018 Project Clean Stream on April 7th! Project Clean Stream (PCS) is the largest trash cleanup initiative in the Chesapeake Bay region. For over 15 years, the support provided by PCS has sustained the cleanup efforts of volunteers and groups, both big and small, throughout the watershed. But PCS is more than just a stream cleanup — it is a catalyst for clean water movements across the Chesapeake. PCS brings together thousands of volunteers, from New York to Virginia, to work toward one common goal — clean water, and healthy communities. Sign up for a site near you, or register your own today! Help us cleanup more streams! The Alliance is seeking a pickup truck to haul trash, cleanup supplies, and trees for plantings. Do you or someone you know have a truck you would like to donate? Contact us at contact@allianceforthebay.org or 443-949-0575. Also, join us at MOM's Organic Market on April 4th in Rockville, MD and Herndon and Merrifield, VA for 5% of your purchase to benefit Project Clean Stream and the thousands of cleanups we host across the Chesapeake! Celebrating the Chesapeake in Virginia! Two Events You Won't Want to Miss! The Alliance has two exciting events coming up in Virginia to celebrate the Chesapeake Bay watershed and the work that we are doing to restore and protect it! 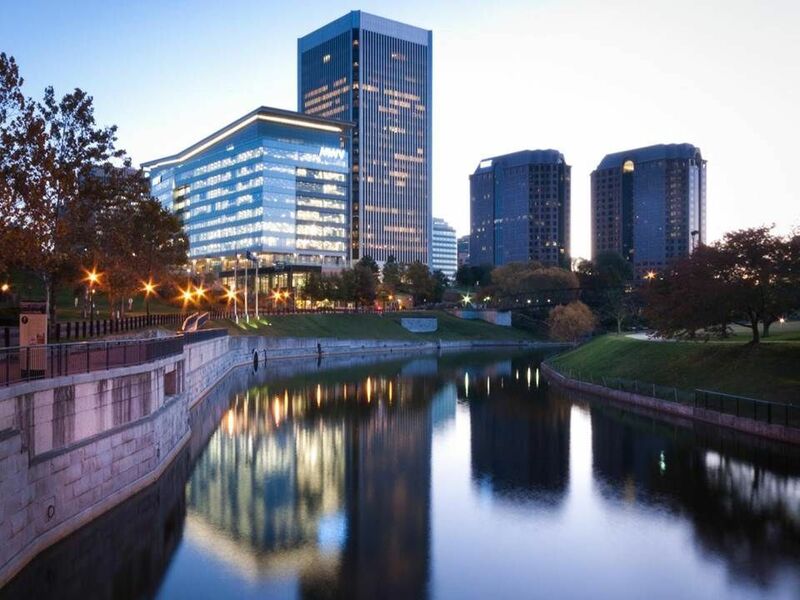 You’re invited to join us at our Cheers to the Chesapeake VIP Reception on the evening of June 8th at the WestRock Corporate Office in Richmond, VA, as we kick off our partnership with the Richmond Symphony’s Festival of the River: Three Days of Art, Music and Environment. 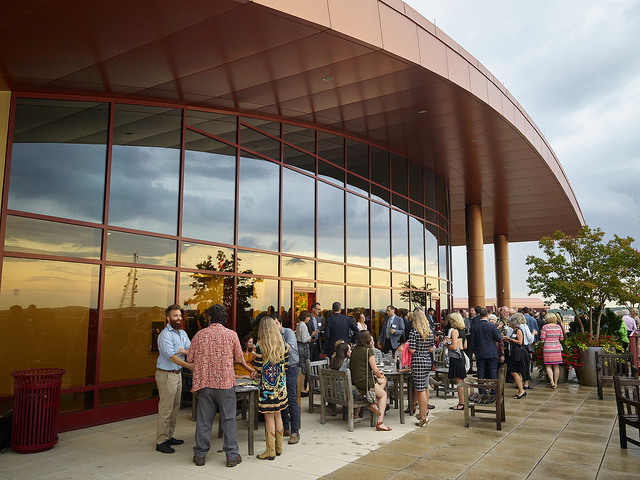 The evening will be spectacular, as we mix and mingle (Governor Northam Invited), enjoy locally sourced hors d’oeuvres, beer, and wine, live music, and watch the sun set over the James River from the stunning view at WestRock. Get your tickets now! Celebrate with the Alliance at our 2018 Back to the Bay on June 9th at the Festival of the River on Brown’s Island in Richmond, VA! Join us for a day of FREE family fun, games, oyster shucking lessons, wildlife education, historic boats, and other environmental education exhibits. Back to the Bay spotlights the vital importance of the Chesapeake Bay and Virginia’s rivers and streams and celebrates Chesapeake Bay Awareness Week with a day of fun-filled and engaging activities to grow environmental stewardship and care for Virginia’s treasured waters. Learn more about Back to the Bay on our website. Pennsylvania READY Pilot Program Launches! The first day of spring marked the start of the Alliance’s new Pennsylvania READY program. 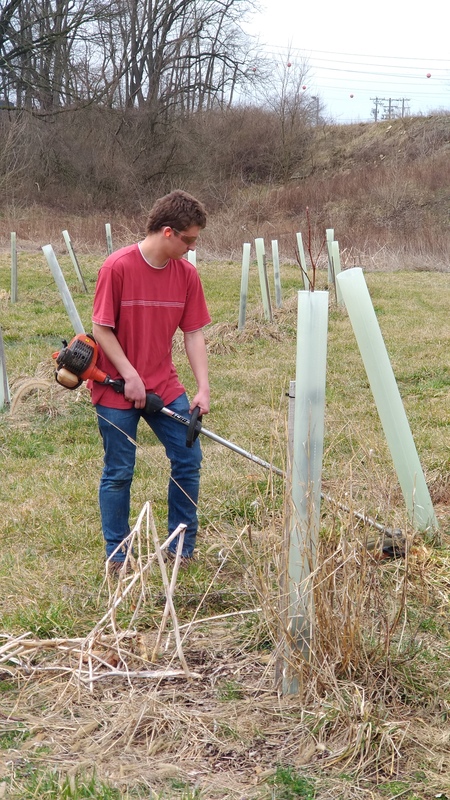 READY, or Restoring the Environment and Developing Youth, trains disadvantaged adults in green infrastructure and conservation landscaping while supporting the maintenance and installation needs of Lancaster County partners. This year’s crew has already planted close to 4,000 livestakes, helped stock 3,000 trout and maintained 5 acres of riparian buffer. In two weeks time, the crew has worked with the City of Lancaster, Donegal Trout Unlimited, and the Pennsylvania Fish and Boat Commission. Over the next two weeks, the crew will continue to support many other organizations such as the Lancaster County Conservancy, Lancaster County Conservation District, Stroud Water Research Center, and more! The crew is led by Austin Unruh, of Crow and Berry Land Management, a local entrepreneur that hopes to inspire the crew members to take advantage of the growing “green” industry. The READY program will provide the crew members the experience and skillset to find employment with conservation landscaping companies and municipal work crews in the future. This year has not only brought tons of new opportunities for the Alliance, it has also brought an exciting new partnership with Väsen Brewing! Väsen, Richmond’s most environmentally-friendly brewery, opened less than a year ago but is already making waves in Richmond’s craft beer scene and has become a strong friend to Virginia’s environmental community. Their mission is to become one of the most sustainable breweries in the nation, but they've decided to start locally by partnering with environmental groups, local farmers, and energy producers to create a sustainable supply chain. In February, Väsen released a new beer called Reedy Creek Lager, named after a Richmond stream that feeds into the James River. 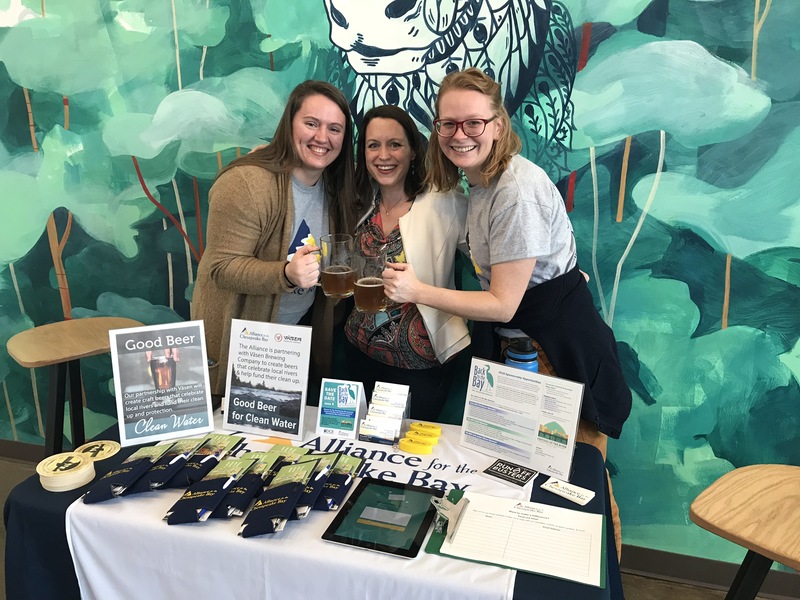 Väsen graciously invited the Alliance to be part of their beer release party and donated 20% of the proceeds to us from sales of the beer that night. But that's not all that's in the works with Väsen! Coming up in April, on Earth Day (4/21), Väsen and the Alliance are working together on a cleanup event and the Alliance’s first ever try at plogging! What’s plogging, you ask? It is a new fitness trend from Sweden that combines picking up trash and jogging – at the same time! Not only will groups be picking up trash, but they will also be competing. We will be weighing bags of trash at the end of the route - whichever group has the most trash collected will win prizes! For more information about Väsen, visit their website. Interested in learning more about the plogging event on April 21st? Visit the Facebook event and RSVP! On February 28th , a group of Alliance staff members attended the Taking Nature Black Conference in Washington, DC. The Alliance, along with the Citizens Advisory Committee (CAC), were sponsors of this year’s conference which was hosted by the Audubon Naturalist Society at their headquarters. 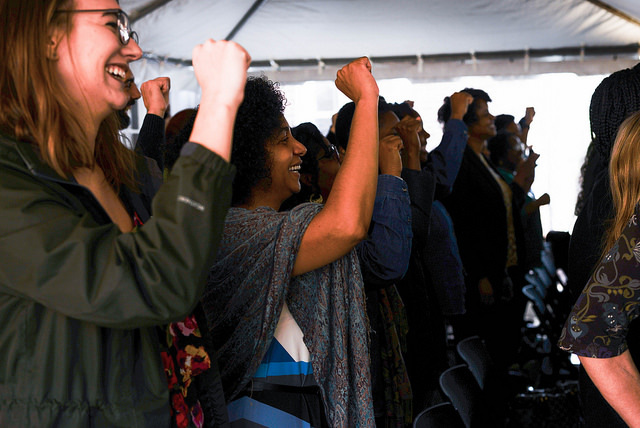 The conference featured thought-provoking, Ted Talk-style speaker presentations and panel discussions with regional leaders, as well as an all-day Jobs Fair designed to attract college students and seasoned professionals to environmental fields. Watch the opening talk by Mustafa Santiago Ali of the Hip Hop Caucus. We walked away from the experience with new ideas, new energy and inspired to make diversity a priority in our organization and in our work across the watershed. The Alliance has recently created a Diversity Equality and Inclusion (DEI) Team to ensure accountability in our organization and in our work with partners. The DEI Team is committed to making sure underrepresented communities have a voice in the watershed about environmental issues and have equitable access to all the benefits of clean water. The team is in its infancy stages, but we have started examining our unconscious bias in distributing job announcements and developing new procedures and processes to include diversity in our applications, interviews, hiring and onboarding of new staff. We’re excited about what the future holds as we make DEI a priority. We’re grateful to the Audubon Society for hosting the conference and we’re proud to have been a sponsor! Read more about DEI at the Alliance in our Board Resolution, adopted in January of 2017. Welcoming Our Newest Landscaping Company to Businesses for the Bay! The Alliance is excited to welcome our newest landscaping company as a Businesses for the Bay Gold Member! 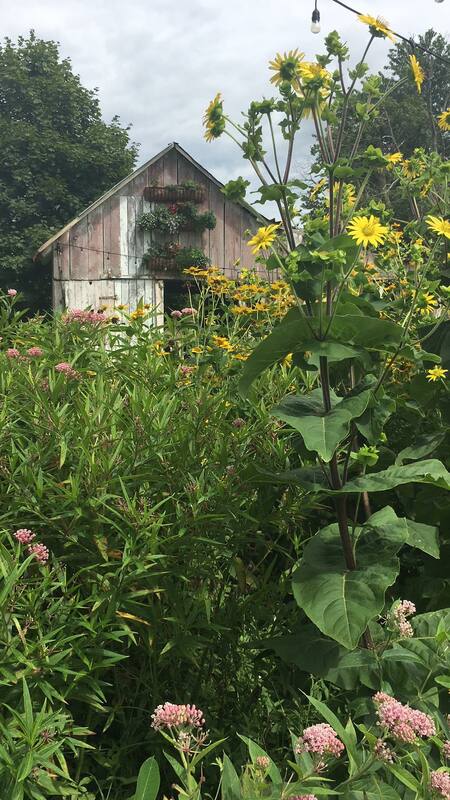 Lauren’s Garden Service & Native Plant Nursery was created to offer an environmentally friendly option for garden lovers who just didn’t have time to maintain their own gardens. Lauren's Garden Service embraces permaculture practices in all aspects of their gardening and landscaping, including plant selection, fertilizing and soil enhancement, planting and weeding techniques, as well as other installation and maintenance practices. They also manage their property in an environmentally-sound way, including planting a 150 square foot native pollinator garden, and removing non-native invasive plant species from their property. Environmental education is a huge part of Lauren’s Garden Service & Native Plant Nursery’s business model. All of their employees are trained on the most recent environmental research and they regularly raise their clients’ awareness about environmental issues. Thanks for all you do to be a Businesses for the Bay Member, Lauren's Garden Service! 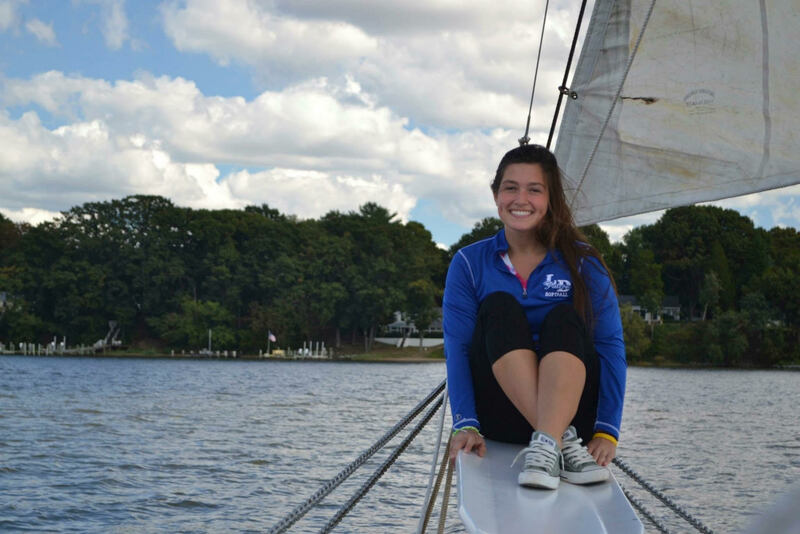 Learn more about Lauren's Garden Service and the actions they're taking to improve the healthy of the Chesapeake Bay watershed. Alliance Team Member Now A Certified Chesapeake Bay Landscape Professional! The Alliance is excited to announce that one of our team members has become certified as a Chesapeake Bay Landscape Professional! In January, our Pennsylvania Program Coordinator, Jenna Mackley, attended a CBLP Certification training in Lancaster City. The credential system was created in 2016 due to increased demand for small-scale, residential practices geared towards improving the Chesapeake Bay. The CBLP is a voluntary certification program created for professionals who design, install, and maintain sustainable landscapes; the training itself focuses on stormwater retrofit best practices and incorporating native plants into conservation landscaping techniques. Best practices such as rain gardens, pervious pavement, constructed wetlands, and rain barrels are among some of the sustainable landscaping techniques discussed throughout the training. Since Jenna is now a certified CBLP, she can connect with other sustainable landscaping professionals to ensure stormwater and conservation landscaping practices will function properly and ultimately help decrease sediment and nutrient loading from residential landscapes. Congratulations Jenna! Learn more about the Chesapeake Bay Landscape Professional Certification Program. Taste of the Chesapeake - Save the Date & Tickets Now On Sale! Join us at our annual Taste of the Chesapeake Celebration & Silent Auction on September 13th, 2018 from 6:00 - 9:00 p.m. at the Rooftop Conference Center in the Belcher Pavilion of the Anne Arundel Medical Center in Annapolis, MD. The evening will feature delicious Chesapeake inspired culinary creations, local beer and wine, live music, a wide variety of silent auction items, and the leaders of the Chesapeake Bay restoration work. Mark your calendars, and head on over to What's Up? Tix to reserve your tickets! It will be an evening you will NOT want to miss! April's Sponsor Shoutout goes to MOM's Organic Market for hosting their annual 5% Give Back Day to benefit Project Clean Stream!